I make no apologies that this is barely a recipe, but I am a throw it all in kinda gal anyway. 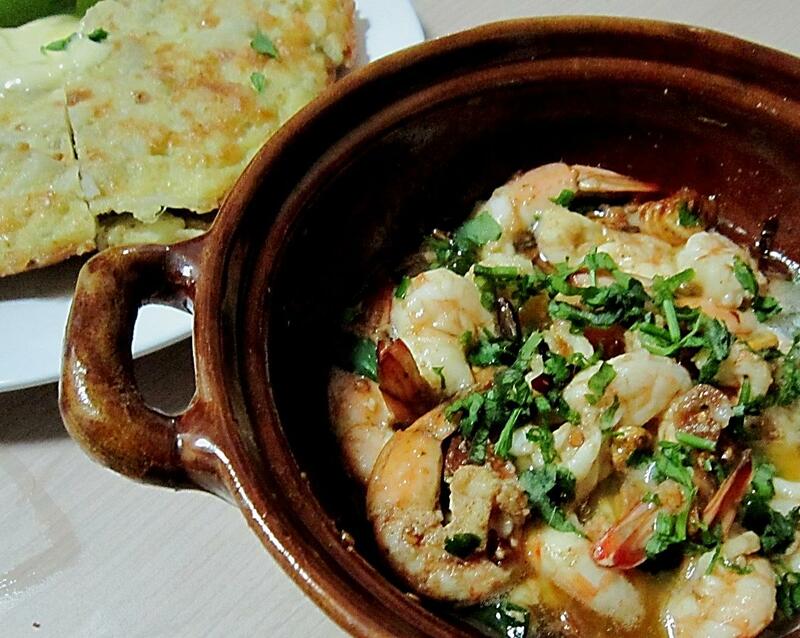 Garlic prawns. Need I say more? It’s worth trying to use the best extra virgin olive oil your wallet can afford. It’s always a contemptuous issue, but I prefer the pungency of Greek oils pressed from Kalamata olives though panda-in-crime is obviously Italian all the way. I prefer to peel the prawns for easier eating (though do sometimes eat the shell and all when fried in some Asian dishes), and add a splash of brandy, smoked paprika, chilli and spritz of lemon to what is a pretty much instantaneous tapa. Just make sure to have lots of bread to mop of the garlicky oil with! INSTRUCTIONS: Fry the garlic in the oil until it is just starting to soften, taking care not to let it burn by frying it at too high a temperature. Add the chilli, paprika, lemon juice and brandy and cook for a couple more minutes. Add in the prawns and fry until they have turn succulent and pink, not more than two to three minutes. Season and scatter over some chopped parsley. Serve with crusty bread for dunking, a mug of sangria and enjoy!